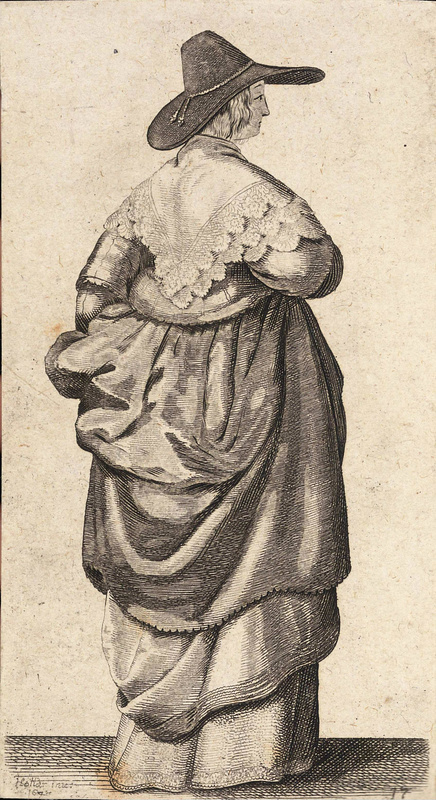 The Wenceslaus Hollar engravings featured here were fetched from the Hollar section of Wikimedia Commons. All the images displayed are British (as far as I know). 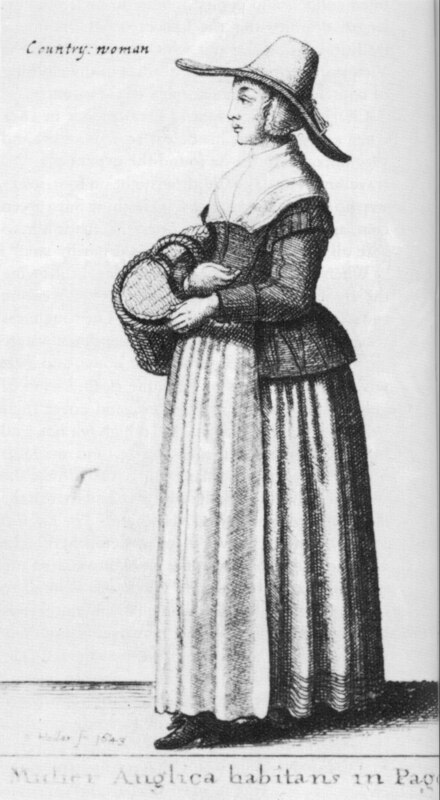 Dutch genre paintings are not included as it is uncertain that the same style of clothing was worn there at this time (1620-1650). 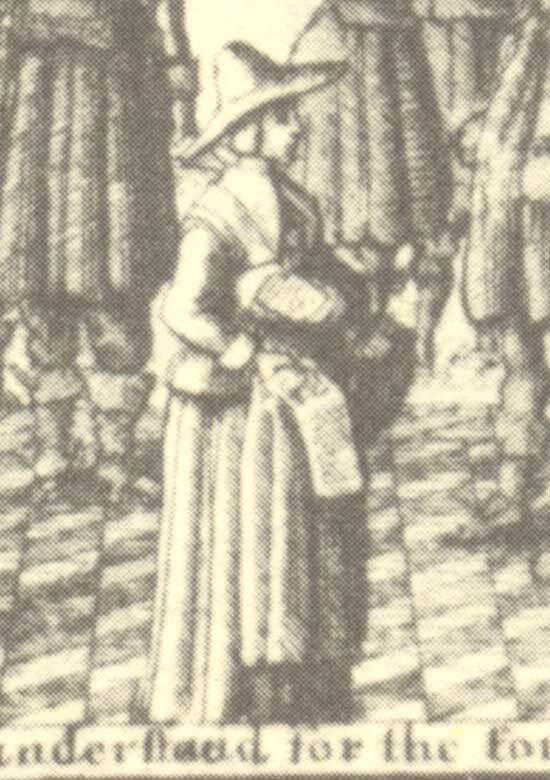 Cries of London, c. 1644. Three Street Sellers with purses. Cries of London, c. 1644. (Neckerchiefs). Cries of London, c. 1644. (Bands/Collars). 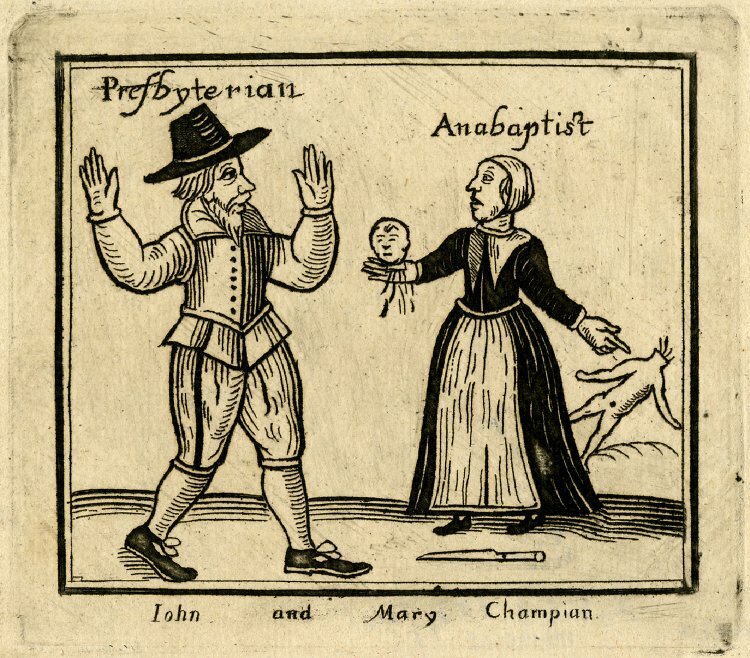 John & Mary Champion 1647. Morris dancing at Richmond 1620. Featuring and contrasting clothing from the lower class and gentry. Click on picture for larger image. 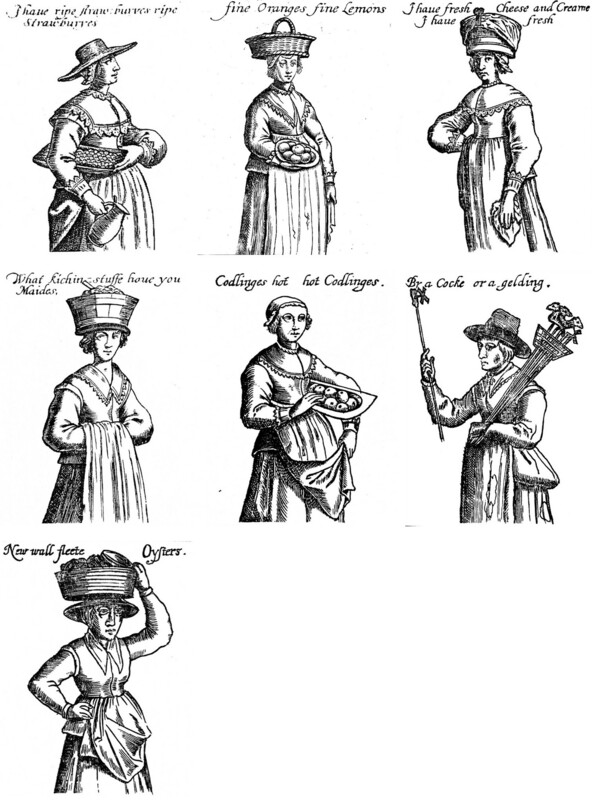 Cries of London – Early 17th century. Click on picture to go to larger image. Servant or housewife. 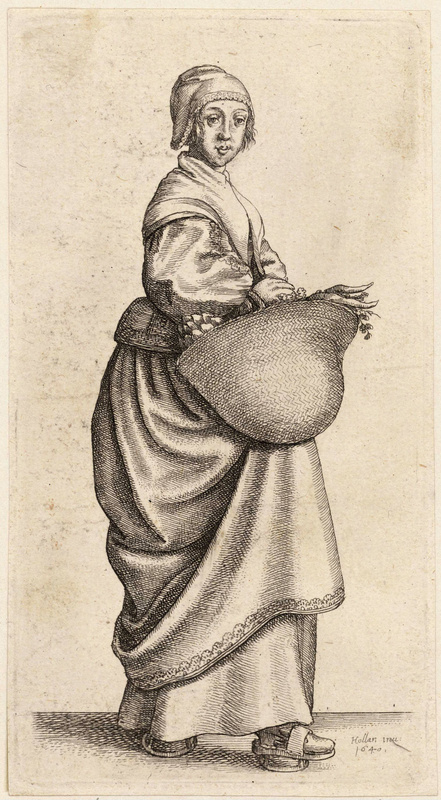 Wenceslas Hollar 1640. 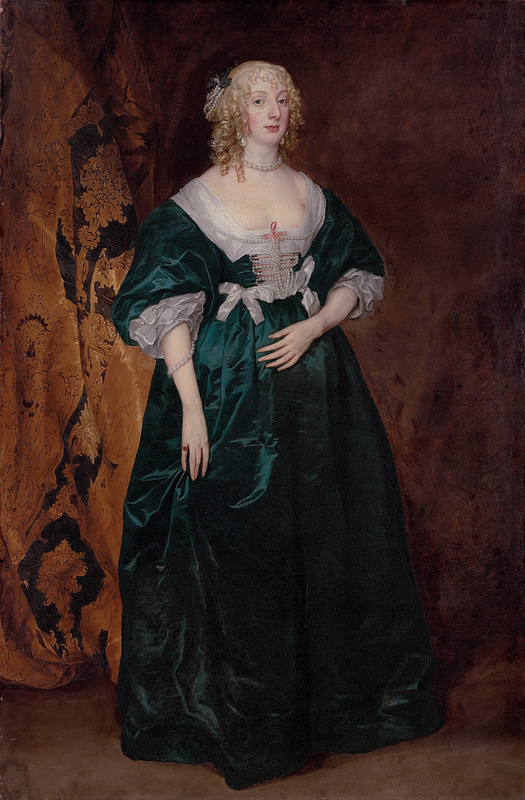 Woman apparently wearing a gown, over a brocade skirt. 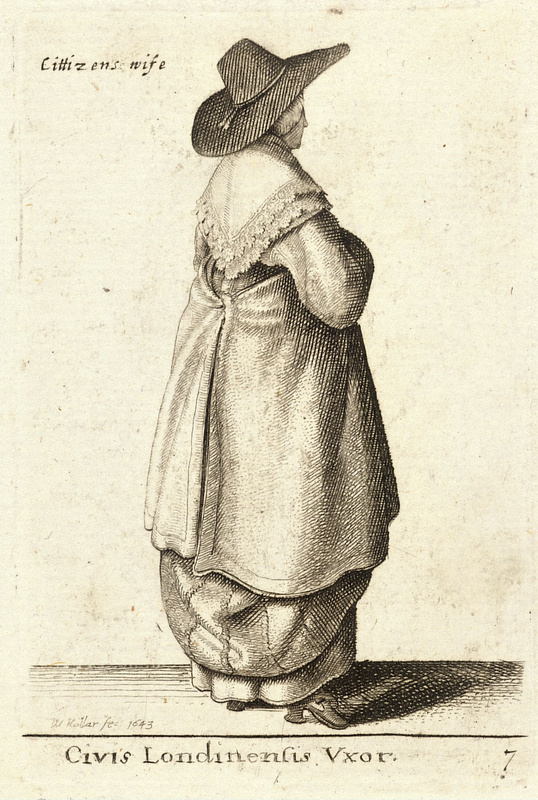 Wenceslaus Hollar. 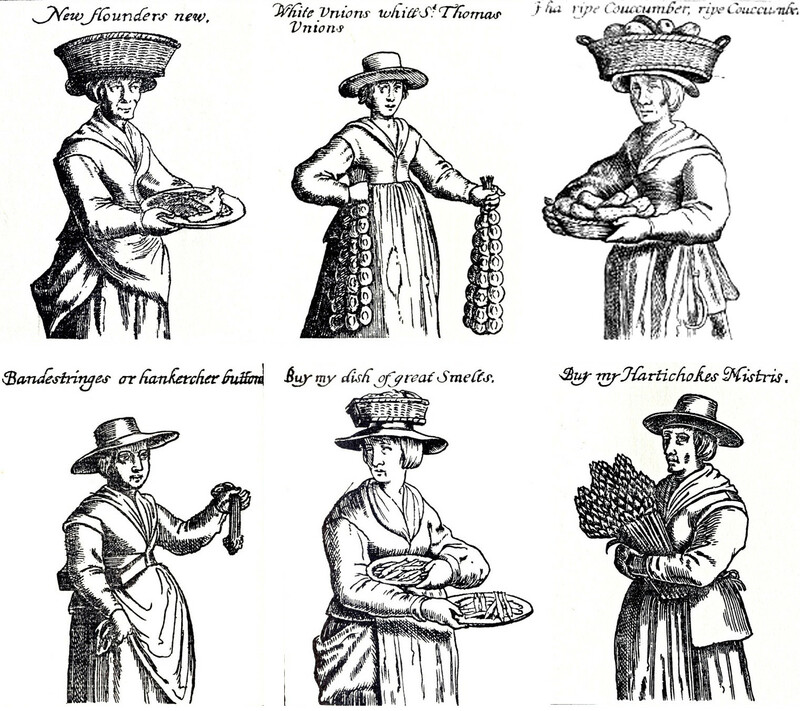 1640. Ester Tradescant and step-son 1645 (Ashmoean).